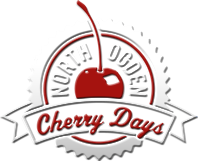 Please join with North Ogden City in honoring the 2018 Cherry Days Grand Marshal on Friday, June 29, 2018. A dinner will be held that evening at 6:00 p.m. at the North View Senior Center (485 E 2550 N). Tickets may be purchased for $10 a person at the North Ogden City Offices (505 E 2600 N). If you have any questions, please call 801-782-7211. Seating is limited, please purchase tickets no later than Monday, June 26th. Lynn and Sharon Muirbrook have lived in North Ogden for forty-four years and their roots run deep. Sharon's great grandparents John and Rachael (Roylance) Woodfield were two of the original settlers of North Ogden. Lynn was born and raised in Ogden, Utah. He attended Ben Lomond High School and Weber College. He worked for the I.R.S. for thirteen years, obtained his real estate license and has worked as a real estate agent, broker and developer since. Early in his life he was taught that "your rewards in life are in direct proportion to the service you render to others." Lynn's service has included four years as North Ogden Mayor, eight years North Ogden Councilman, and twelve years on North Ogden Planning Commission. He has been an Adult Boy Scout volunteer for over 40 years and is a Silver Beaver recipient. He has also served on the Board of Directors for Weber County Foster Care, Weber County Health, Weber County Dispatch, Weber County Sewer, Utah State Home Builders Association, Northern Wasatch home builders Association and Utah Peace Officer Standards Council. Sharon Staker Muirbrook grew up in the small farming community of Taylor, in Weber County. She graduated from Weber High School. Sharon had three brothers and wonderful parents that taught her at an early age to work hard and to appreciate a good harvest. Sharon has worked for the Utah State Road Commission, as well as working several years as a substitute teacher. Lynn and Sharon were co-owners of Ogden's Property management, which created jobs for many people including their own children who worked and put themselves, through college. Sharon served for four years in the Auxiliary Presidency of the Utah League of Cities and Towns and one. year as the President. Sharon's main focus and joy in life has been her family, home and serving in her church. Lynn & Sharon have served in their church in many capacities, for over three years they enjoyed serving together as tour guides at the Conference Center in SLC, and they just recently finished serving three years as full-time missionaries in the Logan Utah Mission. In December, Lynn and Sharon will celebrate their 56th wedding anniversary. They are the proud parents of four sons and three daughters. They currently have twenty-two "awesome grandchildren" and four "fun-loving great-grandchildren." The Muirbrooks love living in North Ogden with its beauty and good people they both agree it has been the perfect place to raise their family.